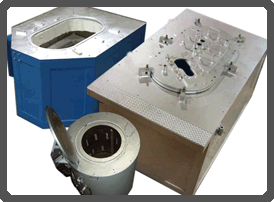 Mini-Mag Furnaces are designed for small die cast machines 450 g.to 2 kg. 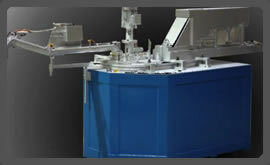 The furnace is built without front corners allowing the furnace to be moved closer to the shot sleeve. This design keeps the transfer tube shorter minimizing plugging. The Mini-Mag System includes a low profile furnace shell with a shallow cast crucible, a short body MP4 Pump and a short transfer tube with a heated pouring spout.